Orbit Communications has introduced the RTU series wireless switching systems. 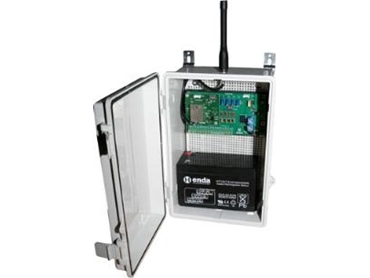 With an outdoor, line of sight range up to 10km, these wireless switching systems provide almost instant access to remote sites at practically no cost. Save fuel and time taken up travelling to remote bores and pumps or getting to hard-to-reach locations. The RTU family of wireless switching systems is available with up to 5 digital inputs, 4 digital switched outputs, 4 analogue inputs, 2 analogue outputs and a RS232 or RS485 serial port. The clients can specify the number of the various inputs available and Orbit Communications will supply exactly what they require. Orbit Communications can also configure the systems to operate specifically for clients’ requirements. The RTU systems are available housed in IP65 water and dust resistance low profile wall mountable, heavy-duty UV stable Polycarbonate or Stainless Steel enclosures. All RTU systems operate at low power and can be powered by 12V/24V DC/AC, battery or solar sources. I have a Orbit RTU 151 receiver unit that has been damaged by lighting and require a replacement card for it. Do you supply parts and replacements? 10/01/2013 - Yes, we can supply a replacement control card for your system. We will contact you to arrange immediately.